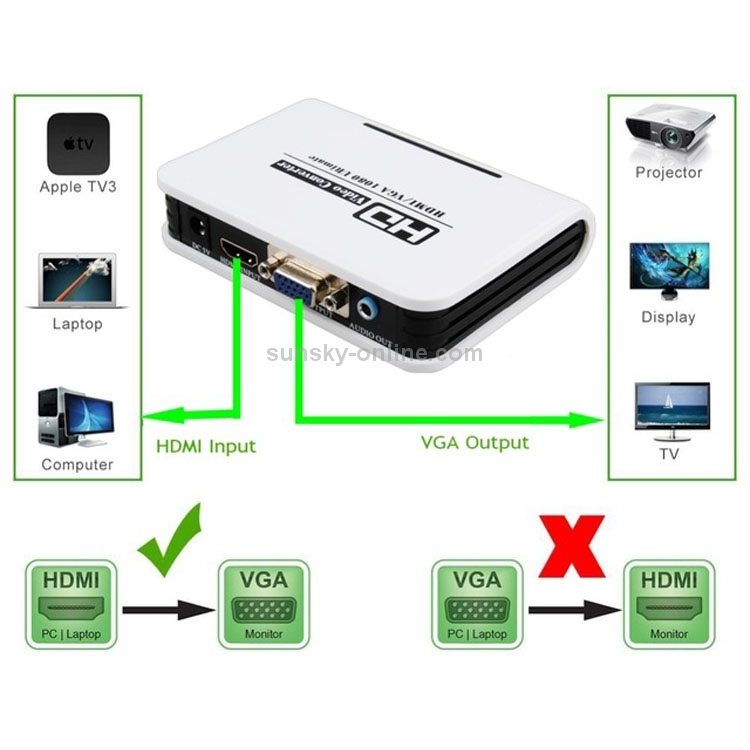 1) HDMI to VGA is a high-definition video converter which convert HDMI digital signal to VGA analog signal and analog audio signal .HDMI signals can connect PS3, XBOX360, Blu-ray DVD, HD set-top boxes, CRT / LED Display ect. 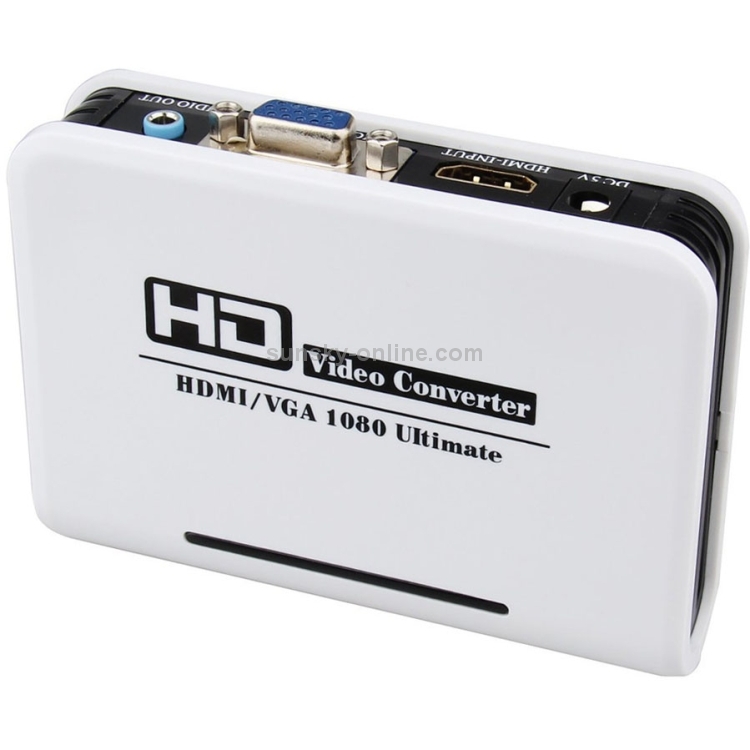 So that you can watch HD Video on the normal TV which without HDMI Interface. 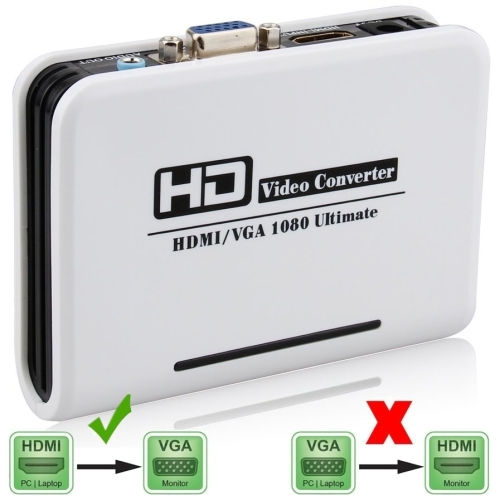 2) HDMI to VGA Converter applied with digital convert chip. 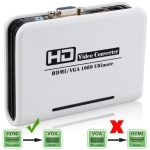 Will convert HDMI digital signal to VGA analog signal. And the signal without any damage. 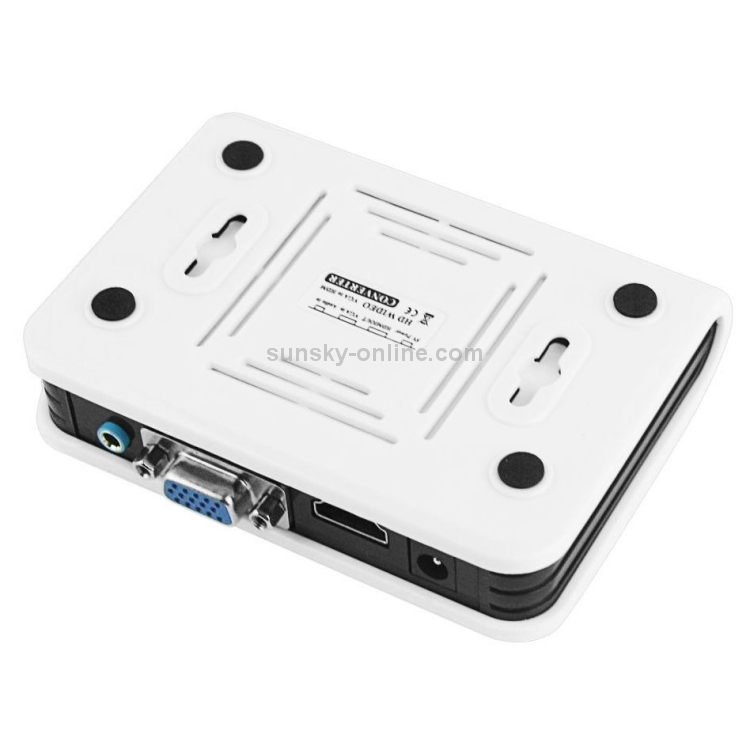 Support HDMI output 1080P/1.3V.